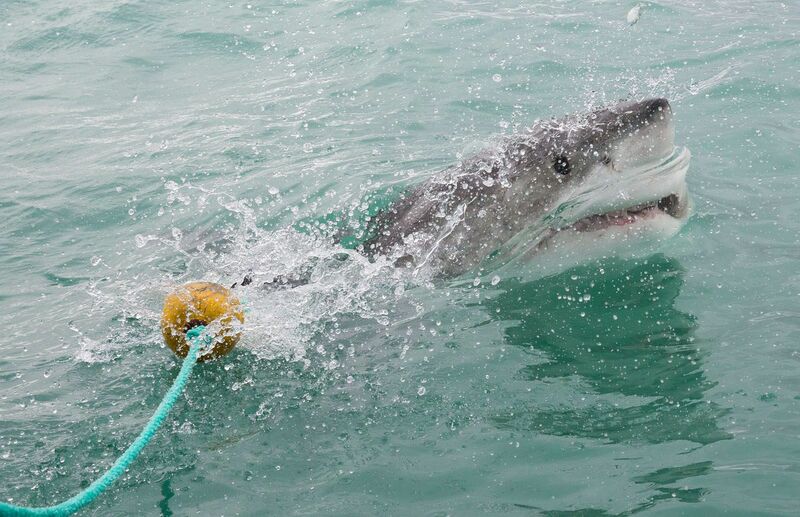 In this post, Tyler writes about our experience shark cage diving in Gansbaai, South Africa. 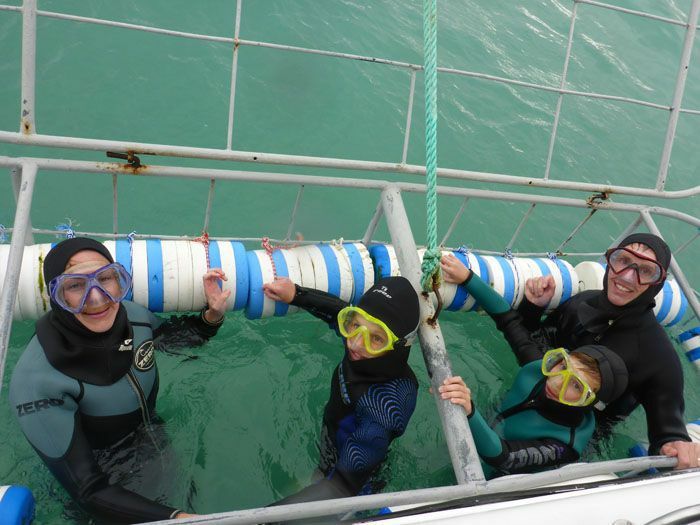 On September 10, 2014, our family went shark cage diving. 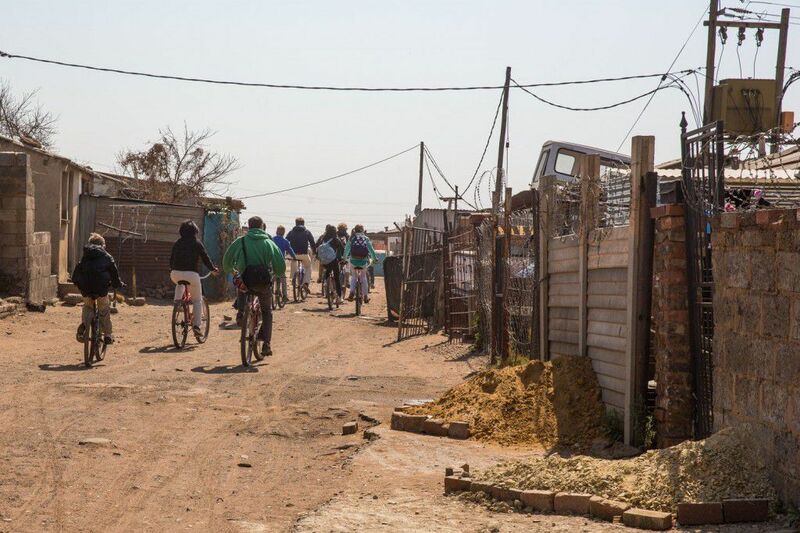 It was a really great experience, one of the best in Africa, and we all loved it. 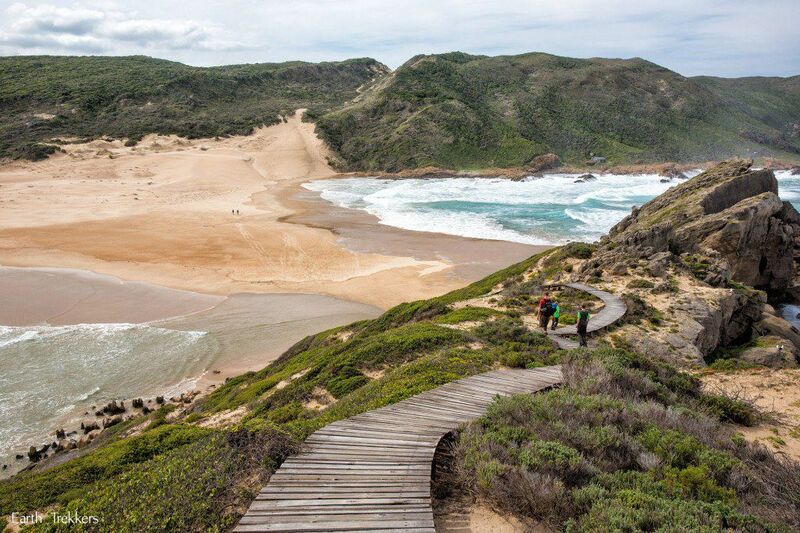 We drove to the office of White Shark Ecoventures in Gansbaai, South Africa, where we would meet our crew. They served us breakfast and then went through the rules of how to be safe and not get your arm bitten off by a shark. Now we were ready to get on the boat and to go swimming with some sharks. We were doing this on a very chilly day. It was about 55 degrees and very, very windy. Also, it was unfortunately cloudy, so our visibility wasn’t that good. The boat ride was super fun. There were huge waves that we crashed into, which made us rock up and down a lot. 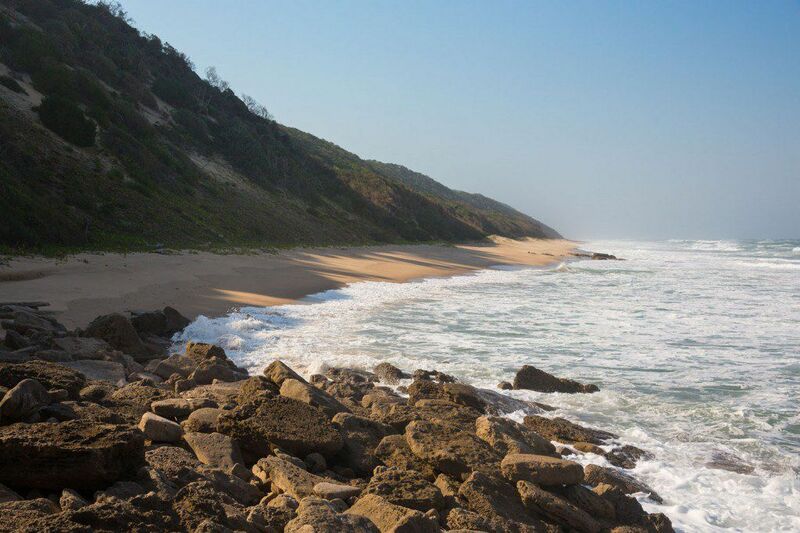 Sometimes, we crashed into a wave so huge, my stomach did loops into my throat! After about fifteen minutes of sailing, we arrived at our destination. The boat rocked back and forth because of the waves, and some people were starting to get sick. 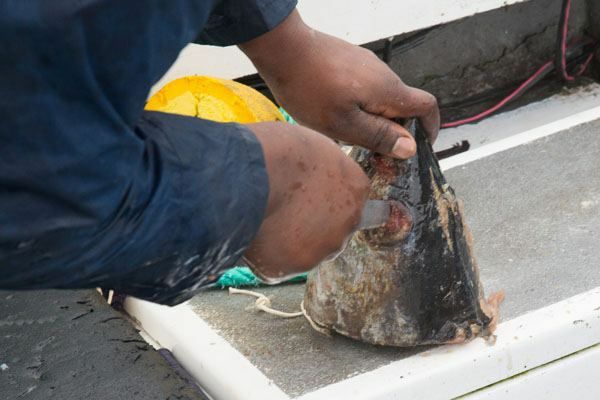 The boat smelled of fish guts and was super gross since the crew was creating their bait for the sharks, fish heads! 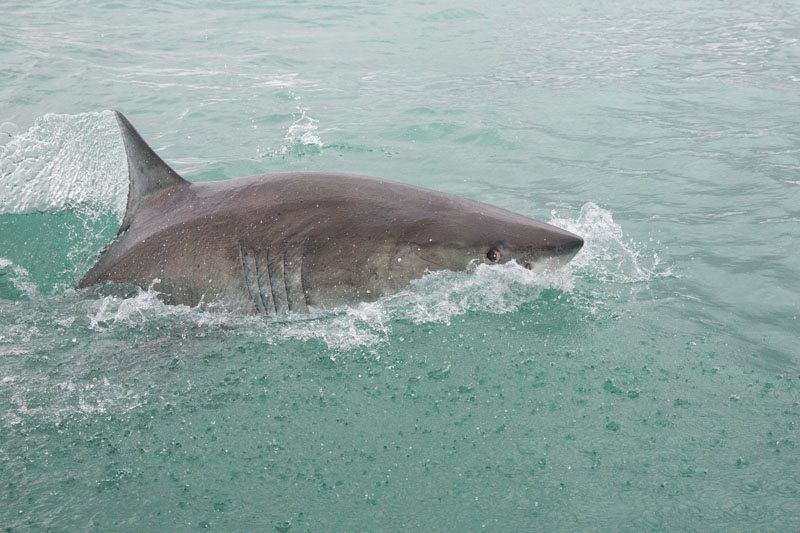 One of the crewmembers then threw the bait out into the water, which lured some sharks to us. 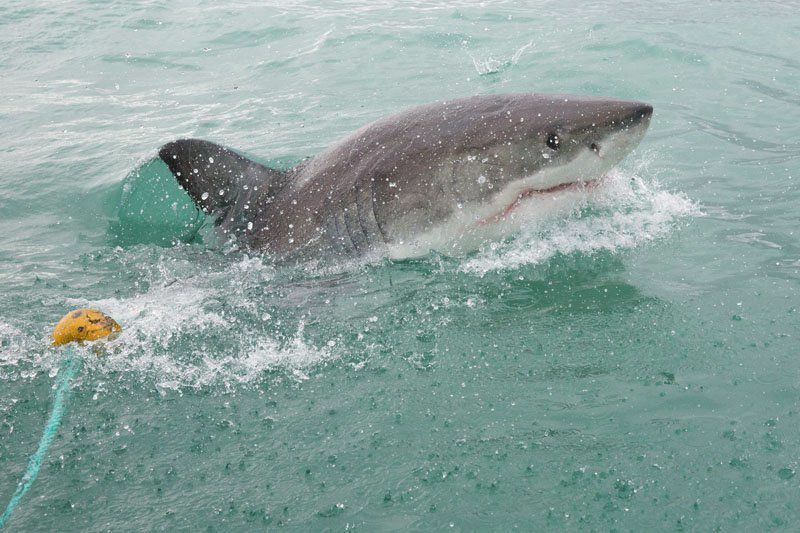 When we saw our first shark, I was amazed and excited to then go swimming with them! 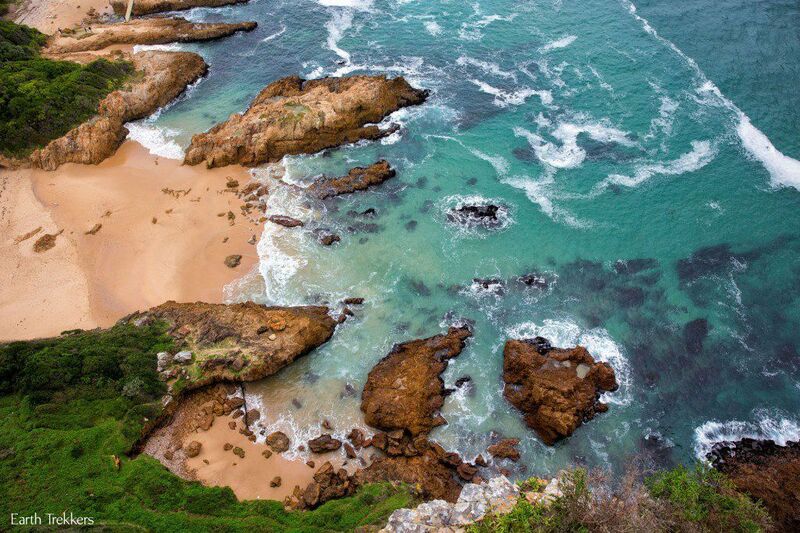 We all had to put on wetsuits before getting into the cold water. 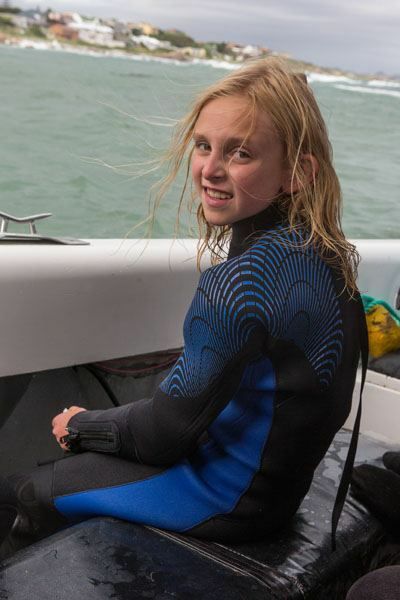 The wetsuits were very hard to get on and they were still damp from the tour before ours. In five minutes the cage was set up and the first group were hopping in. 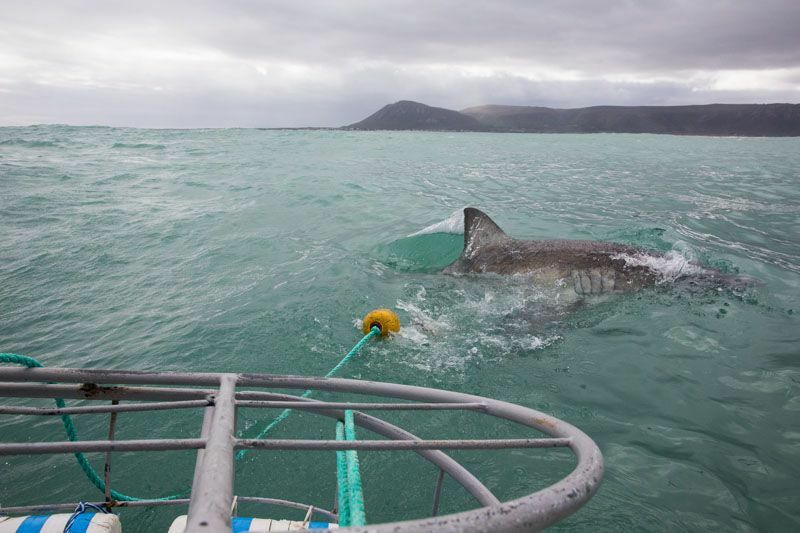 Not long after they hopped in a couple of sharks came over and swam near the cage for a little bit. One looked like it was going to attack the cage! There’s a great photo for our next Christmas card! This went on for about an hour until it was our turn. 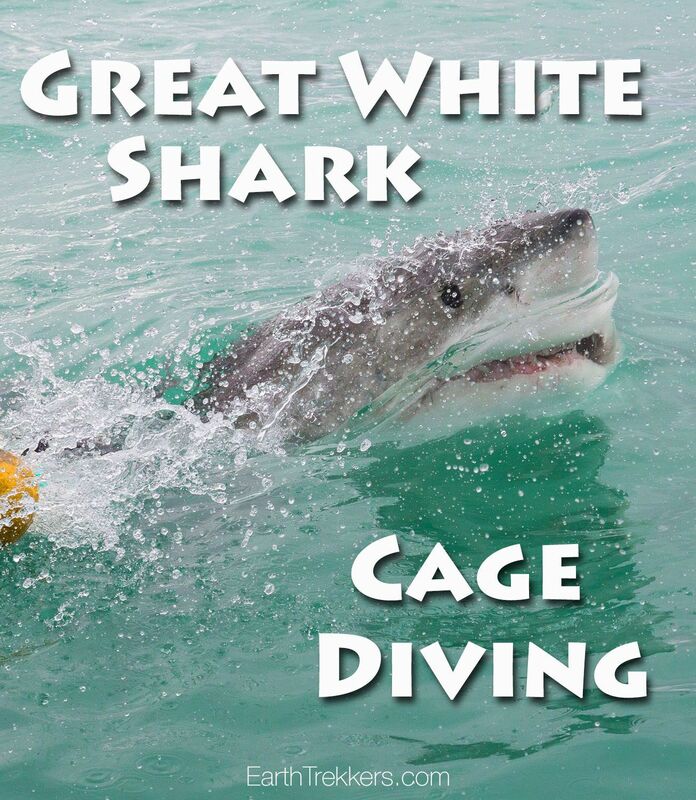 Groups of four to five people would get in the cage at a time, and they would see a couple sharks, maybe about four. I was so excited when it was my turn. I put my mask on and hopped into the water. The water was freezing, it felt like ice cubes! Our captain told us the water temperature was about 62 degrees. After a while, maybe about fifteen minutes, our first shark came. The water was too cold to put my head under, but it was still cool seeing the shark next to me. It was actually a little freaky. 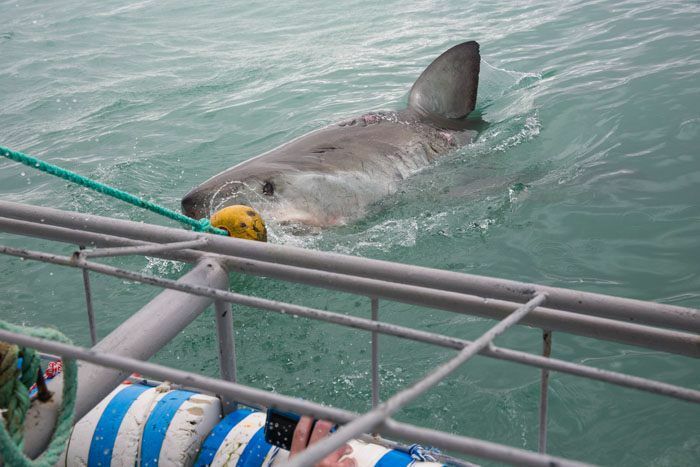 Some more sharks came over, and one had all these scars on his back, and it bumped the cage with it’s tail. Crazy! Unfortunately, we had to get out. We then rode back to the harbor over more waves and got out of our wetsuits. From there, we went back to the main building, where they served us a late lunch, and we watched a movie recapping the day. In conclusion, the shark cage diving was a very fun and a very cool experience, and we would definitely love to do this again. Tyler, I enjoyed your report about the shark cage diving. Pretty cool! You did a great job and it helps to take some pressure off your mom who has to find time to do these blogs. I love reading about your adventures in a land so far away. Hi Grandmom, this is Tyler. Thank you for the very nice comment. Love you!